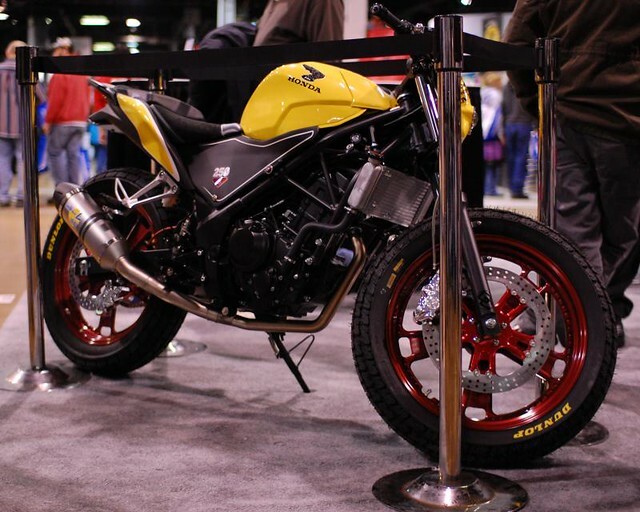 This past weekend I went to the annual International Motorcycle Expo in Chicago. It is a deep dive into the motorcycle pool, a chance to see all the new bikes and shop for all the latest in gear, clothes and accessories, and snake oil. 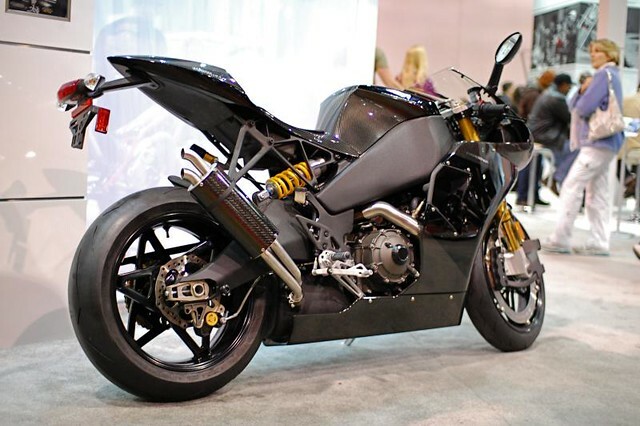 I was delighted to see the above bike: The new incarnation from Erik Buell Racing. Like a phoenix, EBR arose from the ashes of Harley-Davidson's epic mishandling of the brand (and corporate stupidity and rigidity of mind-numbing proportion) to build this tasty, effective race bike. Street bikes cannot be too far behind. This sweet yellow custom caught my eye and made me buy a raffle ticket in hopes that i would be lucky and one day soon it would be mine. It started as a Honda VFR 250 and was stripped of all its bodywork and converted to a street-tracker. 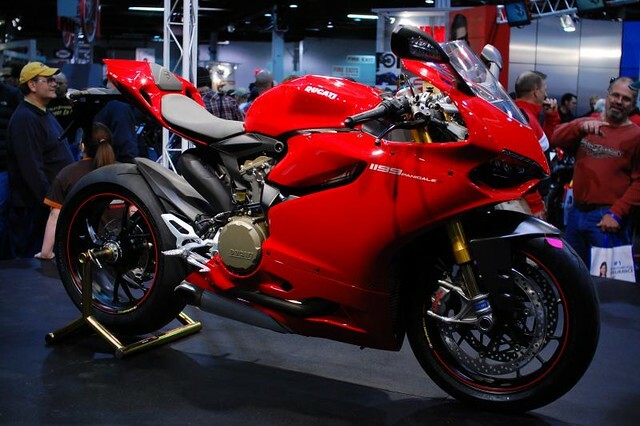 I would LOVE to rip around town on this bike! There were many temptations and I drooled on many. In the end, all I bought was a fancy, high-tech shirt to wear when I ride in warm temps. We shall see if it was worth the money. Regardless, I had the experience I wanted, and am thus somewhat sated for the next six weeks of cold and snow before we really start seeing spring.